Hypotonia is a medical condition characterized by very low muscle tone. Hypotonia can be a separate congenital disorder or it can be a symptom of another underlying condition such as cerebral palsy or muscular dystrophy. Hypotonia typically occurs during infancy. Is There a Difference Between Hypotonia and Floppy Baby Syndrome? There is no difference between hypotonia and floppy baby syndrome. Hypotonia is commonly referred to as "floppy baby syndrome." This is because infants with hypotonia often feel limp like a rag doll when picked up. It is not a very nice expression but it is one that is used and you need to know that these terms are used interchangeably. Hypotonia can be caused by birth injuries or conditions that the brain, spinal cord and nerves. All of these have a role in muscle control and development. Brain damage resulting from lack of oxygen during birth can lead to a number of birth injuries and can also cause hypotonia. Treatment of hypotonia and the success of treatment depends on the underlying cause. There is no successful treatment for reversing brain damage caused during birth. The same is generally true for other types of birth injuries such as nerve damage. Treatment can improve the condition and usually involves physical and/or occupational therapy. The primary goal of these treatments is to improve muscle tone and sensory stimulation. Hypotonia is not the same thing as cerebral palsy but the two conditions are often interrelated. Hypotonia is often a symptom of a specific type of cerebral palsy known as hypotonic cerebral palsy. The more common type of CP is hypertonic or spastic CP which involves overly tight and contracted muscles. Hypotonic CP is a less common form and is characterized by loose, poorly toned muscles - i.e., hypotonia. The reported verdicts and settlements summarized below involve cases where the primary birth injury appeared to be hypotonia. Cases involving hypotonia as symptomatic of Hypotonic Cerebral Palsy or other primary conditions were not included. Every case is unique and these summaries should be considered for informational purposes only. Strom v. Bishop (2013 Kansas) - $500,000: Plaintiff sued her OBGYN for negligent C-section delivery based on failure to develop appropriate delivery plan and failure to recognize position of baby in birth canal. Plaintiff alleged that doctors actions resulted in brachial plexus damage causing permanent hypotonia in lower body. Anonymous Infant v. Anonymous Hospital (2008 Michigan) - $3.3 million: Plaintiff went to OBGY a month before due date with concerns because she had not felt baby moving. She was examined by unlicensed assistant who told her everything was fine. 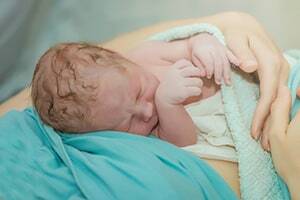 The following day she was examined by the doctor who immediately hospitalized her and performed emergency C-section in response to clear fetal distress. Baby was born with severe hypotonia and other conditions leaving her permanently disabled. Damages of $3.3 million were awarded. Anonymous Female v. Anonymous OB/GYN (2006 Massachusetts) - $2 million: Malpractice claims alleged delay in timely delivery of distressed baby was caused by poor communication between hospital delivery staff and OBGYN. Plaintiff claimed that emergency C-section should have been performed immediately. Delayed delivery resulted in injury to baby causing developmental delays and hypotonia. Damages of $2 million were awarded. The birth injury attorneys at Miller & Zois can help you obtain financial compensation for infant hypotonia or other birth injuries. Call us at 1.800.553.8082 or submit a request for a free consultation.